Company Name Wintech Co., Ltd.
*DEAD WEIGHT : 1480M3 (MADE IN DECEMBER 1992). MAIN ENGINE : "HANSHIN" MODEL LH31G (1000PS/305R.P.M.) X 1 UNIT *ACTUAL ENGINE POWER IS 1800PS (1323KW). VALIDITY OF THE CERTIFICATE OF VESSEL'S INSPECTION : 10 NOVEMBER, 2010. (SELF-PROPELLED) Code No. 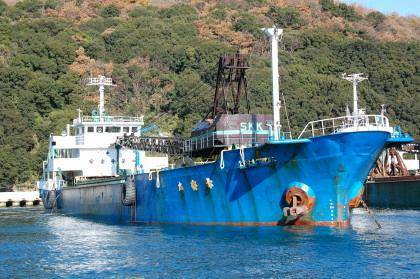 WT-429SCD of SAND CARRIER (DREDGER) OVERALL LENGTH 56.43M. WINTECH CO., LTD. IS LOCATED AT 3-9-21, MINAMIHORIE, NISHI-KU, OSAKA, JAPAN. 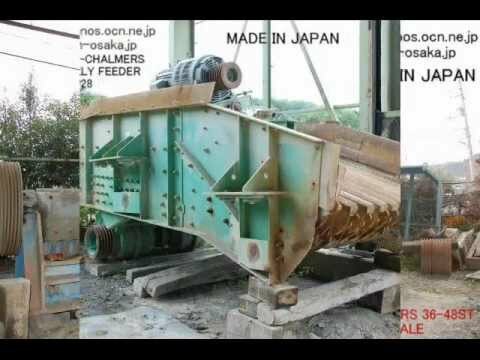 WE HAVE SUPPLIED A WIDE VARIETY OF USED JAPANESE SHIP & USED CONSTRUCTION MACHINERY & USED QUARRY EQUIPMENT SUCH AS JAW CRUSHER, CONE CRUSHER. GYRATORY CRUSHER, VIBRATING SCREEN, VIBRATING FEEDER AND CRAWLER DRILL & ETC. AND HAVE OBTAINED A VERY GOOD REPUTATION THROUGH MORE THAN 25 COUNTRIES.